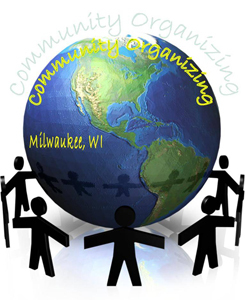 Engaged in community organizing? Looking for some good resources? Interested in learning more? Check out a new series of small booklets on community organizing from ACTA Publishing in Chicago. Reflecting with Scripture on Community Organizing; author Jeff Krehbiel explores four key passages from the Bible and how they might inform community organizing. There are directions in the back of the book for using the reflections for group discussion. Rebuilding Our Institutions; by author Ernie Cortes. This booklet contains his analysis of the need for mediating institutions if democracy is to flourish. Action Creates Public Life by Ed Chambers, argues that it is by taking action that we define who we are as adults. Chambers’ previous booklets, The Power of Relational Action and The Body Trumps the Brain are also available. Effective Organizing for Congregational Renewal by Mike Gecan offers advice and case studies on how to use the tools of community organizing inside congregations of all faiths and denominations. ACTA Publishing is a lay-owned religious-oriented press which publishes “a wide variety of materials for those attempting to live out the Christian faith in their daily lives, on their jobs, with their families, and in their communities.” The new booklets focus on CO especially as practiced by the Industrial Areas Foundation. Booklets retail for $5.95 each, with discounts available for multiple copies. The Press also offers other books of interest to people active in the life of their communities. Order the booklets and learn more at www.actapublications.com. Go to the Community Organizing part of the site to find the list of booklets listed above. If you need further assistance, please contact the OMI JPIC Office by calling or emailing Mary O’Herron or Christina Herman.